Now that you've imported your contacts to Nimble, there are a few things you'll want to do to make sure they are organized into targeted list for either your outreach campaigns or to simply keep them tidy. There are several ways to group contacts in Nimble to keep them in line. This can be done through Tags, Custom Fields, and Saved Segments. Lets start with Tags as they are the easiest way to organize your contacts right from the get-go. Tags can be easily applied upon import and can be applied from any importer in Settings >> Networks & Imports. They can also be added to a CSV import! Lead Details can be applied in-app and also in your CSV file. Most users use Nimble for their business and for generating/nurturing leads. The Lead Details section is great because it allows you to track your progress with your lead. Lead Type - identifies what type of lead they are. Whether it be an "Investor", "Partner" or a field you create. Lead Source -identifies where the lead came from. Examples: "Word-of-mouth", "Walk-in", "Referral", etc. Lead Status - identifies where the lead is in his progress with the deal. It could be anything from "Qualified" to "Proposal. To change these lead details, simply click on "Add Type," "Add Status" or "Add Source." You may also create custom fields for your lead details. To create new fields that can be applied to your contact records, use "Custom Fields" which can also be built in your Settings >> Data Fields page. 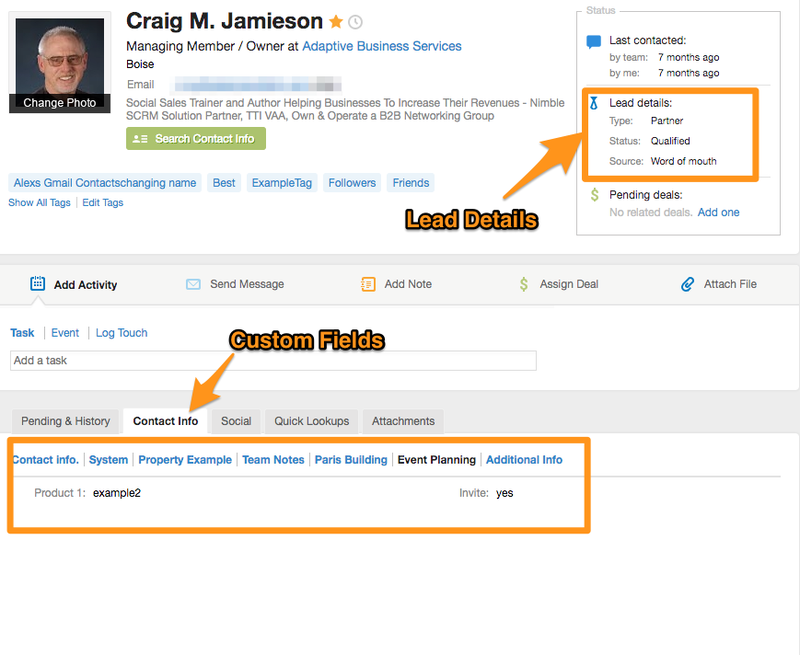 To locate contacts with the same lead detail or custom field, you would utilize our "Segmentation" feature. 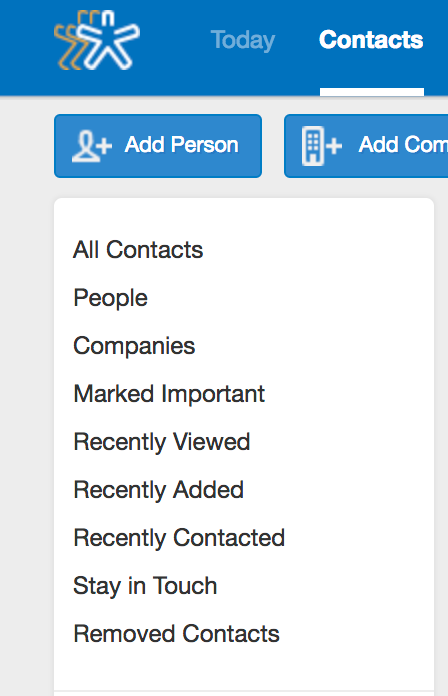 Organizing Contacts With Saved Segments? Our Segmentation feature allows you to take targeted actions on your contacts to help you with your outreach and organization. Use Segmentation to separate contacts by location, interest, bio, title, education, tags, custom fields, lead details and much more after contacts are imported. All contacts that match the set criteria will appear in a list view and you can save this segment for easy access at a later time. Any new contacts that match this search will be automatically added to this saved segment.